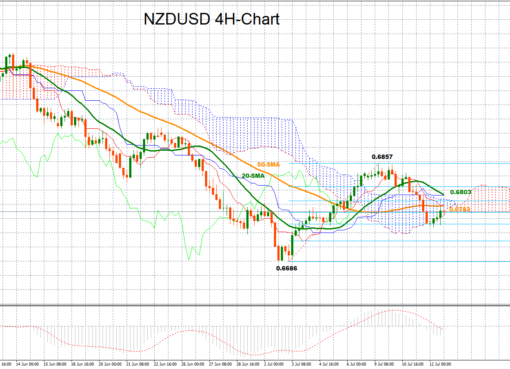 NZD/USD reaches an 8-week high near the upper boundary of the bullish channel. NZD/USD continues to rise above the 50.0% Fibonacci retracement level of the downward movement from 0.7390 to 0.6423, around 0.6910, remaining inside a bullishly aligned channel, stretching its upward pattern to a fresh seven-week high of 0.6923. 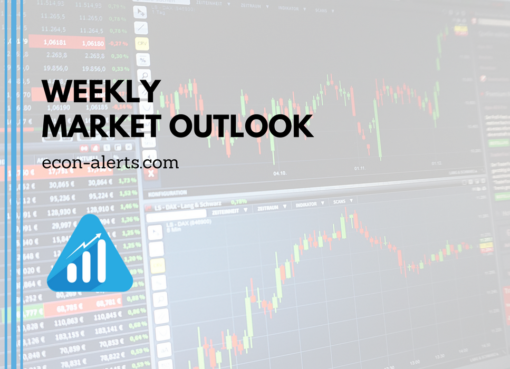 According to the MACD, positive momentum could push for further gains in the short-term as the indicator picks up steam above its red signal line. The RSI is also advancing, though, it is slightly above the 70 overbought level, therefore, negative corrections cannot be excluded. 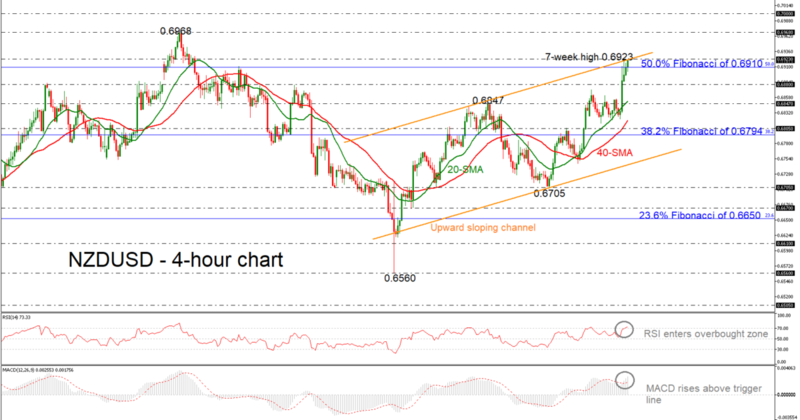 In case the pair extends its gains above the aforementioned new high, resistance could be faced around the 0.6968 level, identified by the peak on December 4. 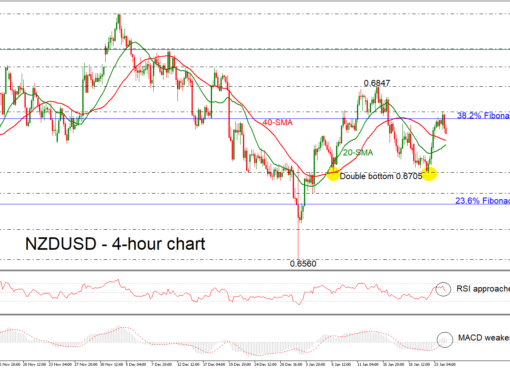 A break higher could see prices flirting with the significant psychological level of 0.7000 before touching the 61.8% Fibonacci mark of 0.7023. 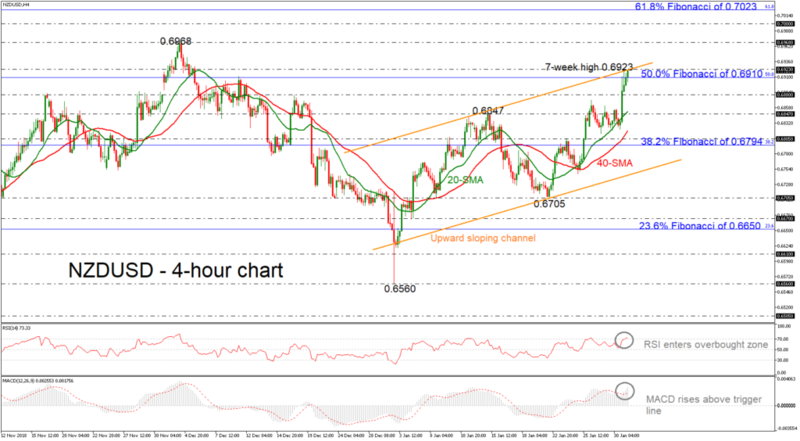 Overall, NZD/USD has been holding within an upward sloping channel since January 3 and any increases above the 61.8% Fibonacci would confirm the positive outlook in the medium-term as well.